As many have known on my social networks, this year I have been working on a relaunch of a product on the Mexican market. A cookie called FLIPY, which only cost $5 MXN ($ 0.30 USD). There are quite a few drawings I did for this brand, which will be appearing on boxes, supermarket plotters, t-shirts, TV and internet spots, publications for social networks of this brand, etc. If you are from Mexico, don't hesitate to taste it, and know that had such a smiling dolphin was for a furry. At first I thought those were Gansitos and I nearly flailed xD But they look super tasty! Ooooooh <3 I wish I can visit Mexico again so I try those (and visit my family there too). This is badass! Cute as hell, too! Apenas estoy empezando a ver la invasión, que hasta anunciado en un camión ya lo he visto. Se siente curioso, depronto ver dibujos mios por toda la ciudad. Y seguro que están por todo el país. Pero claro, de una forma anónima, jeje, solo unos cuantos saben que los hice yo. Hahahahaha nooo, maybe you could do it, but if I got discover, I would be fired. Boy I like to try those! Is there any chance they can be sold outside of Mexico? I even don't know where exactly is being distributed here. I just did the design of the mascot and a lot of drawings of him, but I'm just discovering where are using each drawing that I did. Siii, va a ser muy curioso. Yo también quería que volvieran, me alegró mucho saber la noticia que volvían, y aún más cuando eligieron mi diseño. felicitaciones paco! te sigo desde hace años. me alegra que tu carrera va bien. ojala los venda por aqui. Muchas gracias!! Y siiii, recuerdo desde hace cuanto que me has comentado en los dibujos. Hehe, well, actually I'm considering to bring some Flipys and Mamuts to the next MFF and next year to AC, it would be weird to autograph them, but I could bring some cookies who ask me for it. Oh santo cielo! mi infancia!!! Yo quiero comerlos!! ‌Oh santo cielo! mi infancia!!! Yo quiero comerlos!! Yo igual quiero probarlos. Ya van 6 días que salieron a la venta y no he podido probar uno. A nivel república o sólo en EDOMEX y DF? ‌A nivel república o sólo en EDOMEX y DF? Te veho otraves en AC? It was very sweet to meet you! And I'm planning to bring some Flipys and Mamuts. Yep, I'm going to AC next year n__n And I'm planning to bring some Flipys and Mamuts. I guess I shouldn't be surprised that you do this professionally. Looks nice by the way! hehe, yep, that's my work, to create some mascots, but this is the one that I have a big proud, because I missed this cookie (it was a brand that didn't exist since 15 years ago) and they chose my style for it. So I tried to put all my style in this dolphin. Alfin tienes uno en tus manos? Thats so cool that you make Stuff for Brands :D thats awesome! too bad i won't get those here in germany. Recién los acaban de re lanzar, el sábado pasado salieron a la venta. Your art is definitely professional enough to be on product packages! Great work! Felicidades Señor! Se ve perfecto. Congratulations Sir! Looks great. Felicidades Señor! Se ve perfecto. Recuerdo haber visto ese en el programa de Chavelo cuado yo era una pequeñita. Siiiii, es que ya tiene mucho tiempo esta galleta, pero al fin está saliendo nuevamente. Y seguro que volverá a salir en el programa de Chabelo, porque eso seguirá existiendo por los siglos de los siglos amen. ¿O sea que aún no ha salido de nuevo? Sí, salió nuevamente el sábado pasado. Debio haber sido una producción muy corta, porque con suerte encontré uno hace unos minutos. were can you order them? 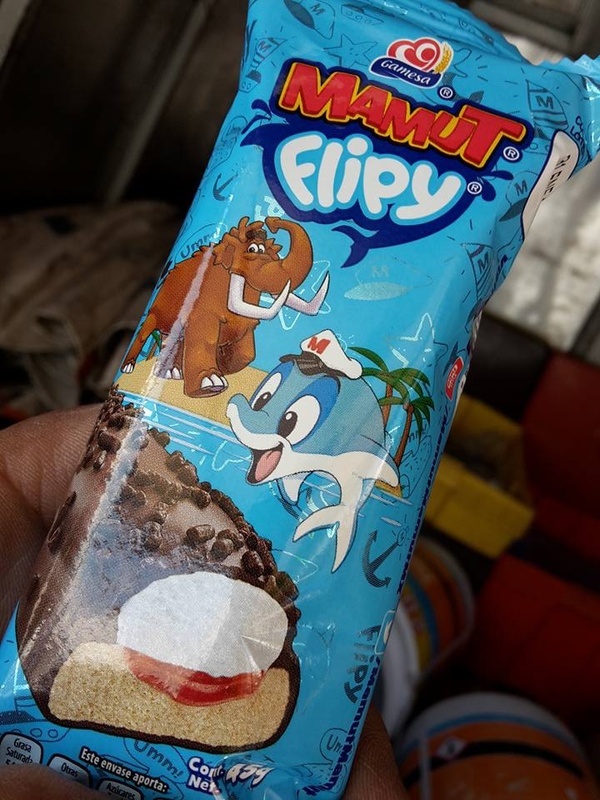 WoW hacia años que no miraba los Filpy, eso me trae muy buenos recuerdos , los van a lanzar de nuevo ?